This IPC Eagle Job extractor can be used to clean carpet, upholstery, and even hard wood floors. This tool is a unique 3-in-1 spotter and extractor, hard surface cleaner, and wet/dry vacuum. With these many different possible applications, the Job Extractor is known for its flexibility. It works well in small carpeted areas, with grouted tile, upholstery, and even car detailing.This extractor comes ready to go to work. It comes with an 8' vacuum hose, a 9" stand up wand for carpet with a hard floor squeegee attachment, and an upholstery tool. 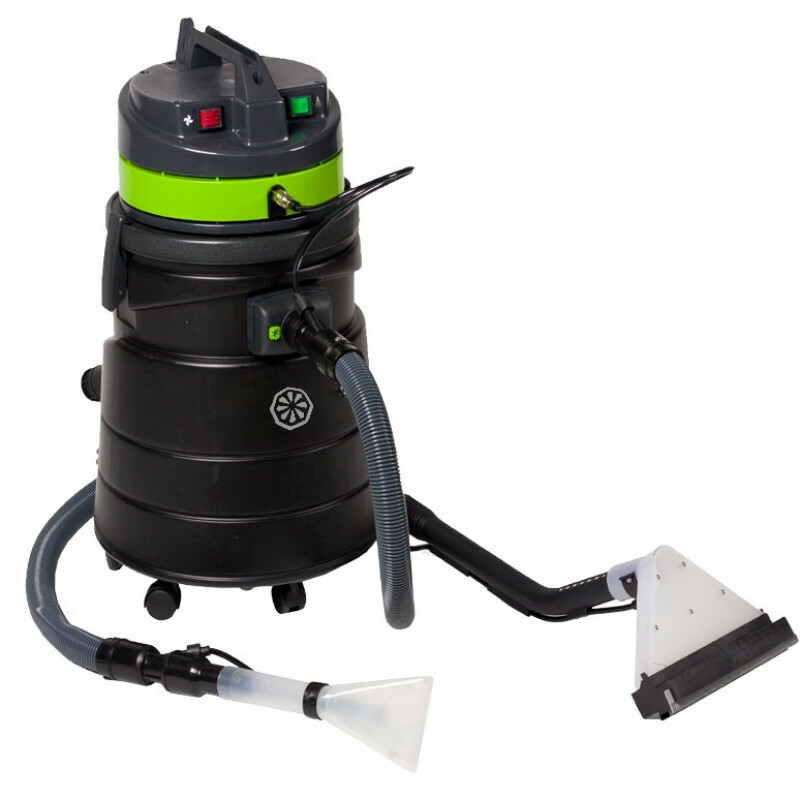 Comes with a locking hose-in-hose vac hose with swivel cuff, six caster base for added stability while cleaning, and its motor is in strict accordance with UL and CUL regulations. 1-1/2" diameter hose, 9" drag wand and upholstery tool. 8' locking hose with internal solution line with swivel cuff. Stability 6 caster base for easy movement while you're working. Quiet operation for use in populous areas during normal business hours. Used for small carpeted areas, hard surface maintenance (grouted tile), upholstery cleaning, car detailing, vacuuming & extraction.